This necklace is a 1 1/8" pendant of hammered sterling silver. 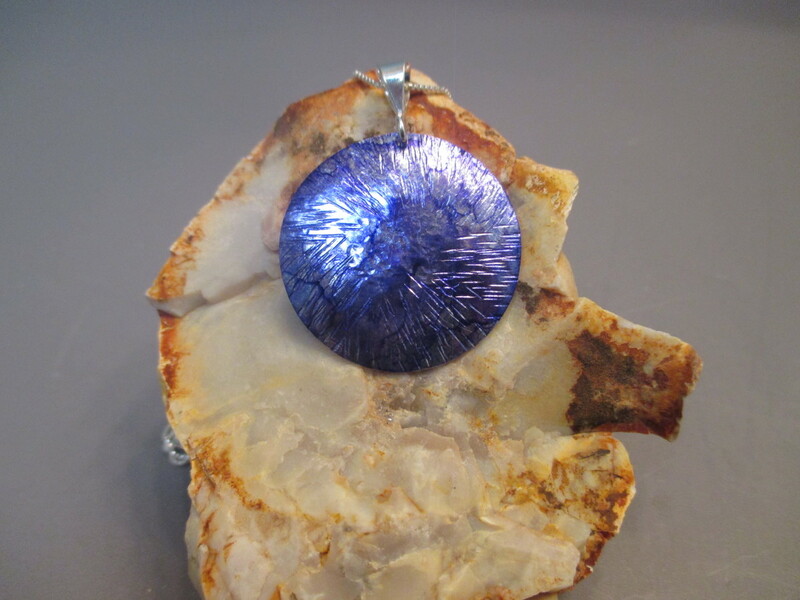 I have added an amethyst purple alcohol ink that creates a beautiful contrast with the sterling silver. Several layers of clear acrylic spray are applied to preserve the color. I like using the alcohol ink, because each piece of jewelry will come out different. The pendant will come on a 20" sterling silver chain. Other sizes of chains are available.